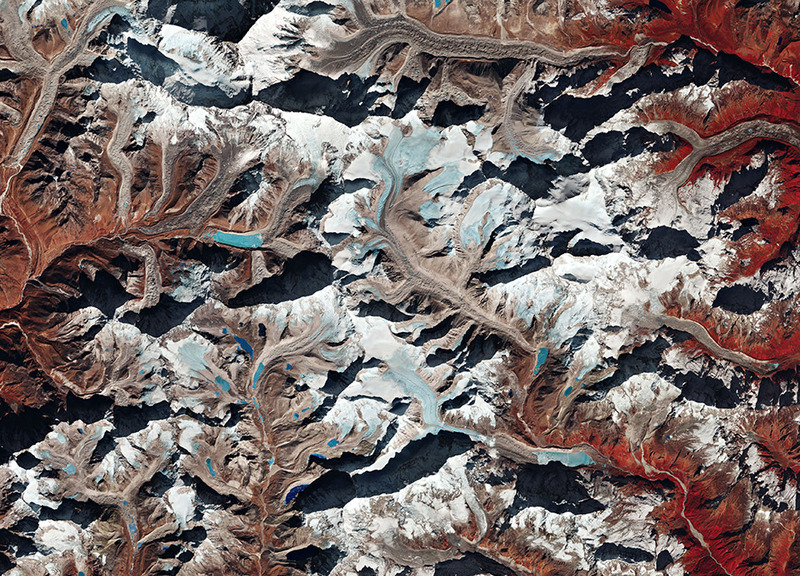 Earth from Space: Mount Makalu, Himalayas. Because of the mountain's knife-edge ridges and its remote position, which leaves it exposed to the elements, it is viewed by many as one of the world's most difficult mountains to climb. Nevertheless, Swedish explorer, mountaineer and climate campaigner, Carina Ahlqvist, led a climb this year to raise awareness of climate change and to support ESA's Climate Change Initiative. During the expedition, scientists collected measurements to help validate data from the Copernicus Sentinel-1 radar mission that are used to study natural hazards such as rock falls and landslides in mountainous regions. The team also surveyed the Barun glacier, which lies at the base of Makalu, to help understand its history and therefore the past climate in this region. Unfortunately, Carina was struck with snow blindness and had to be evacuated just 300 m from Makalu's summit. She is now safe and well and the data collected during the expedition are being used to further understand the dynamics of this remote region and how it is being affected by climate change.